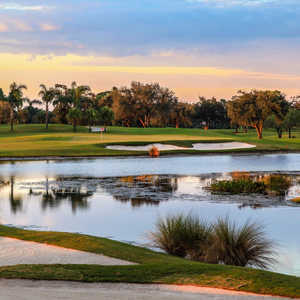 PALM BEACH GARDENS, Fla. -- PGA National's Champion Course features the infamous "Bear Trap," which steals the headlines during the PGA Tour's Honda Classic. 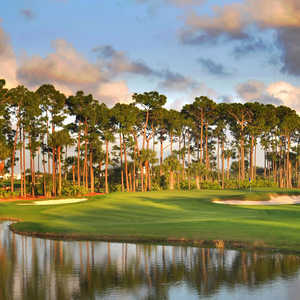 PGA National Resort & Spa offers its famous its Champion Course -- and much more. 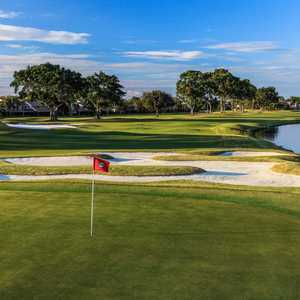 But for the resort guest at PGA National Resort & Spa, 87 other holes and lots more off the course and around south Florida make this getaway special. If someone greets you in the iBar at PGA National and steals your watch, it's probably Lance Laska, resident magician. Laska has played on weekends at the resort for years and delivers an entertaining mix of slight-of-hand tricks and old school gab to unsuspecting dinner and bar guests. PGA National has roughly 2,000 members and a 379-room hotel, which means there's always action on premises. Even if Laska isn't playing the room, something else is probably going on. One night at the resort during our stay coincided with "Girls Night Out" -- a party at iBar full of bumping house music, clothing and jewelry vendors and so many babes dressed to the nines you'd think the PGA Tour was in town. Revitalization has hit not only PGA National (which recently invested $65 million into the property) but nearby West Palm Beach. The 15-minute drive from the resort into West Palm Beach brings visitors to a downtown area along the waterway that is emerging as a festive nightlife spot with entertainment, restaurants and bars. For dinner, we popped into Gratify, a newly-opened "gastro pub" that serves small plates and entrees, including a juicy pork chop that steals the show. The resort's culinary scene is on display nightly. Recently hired Executive Chef Gordon Maybury is not only in the process of revamping the menu, but the resort recently bought his kitchen a new toy: the Vulcan 1200, which uses infrared technology to broil meat up to 1,200 degrees Fahrenheit. The intense heat is ideal for searing a piece of meat while keeping all the juices in tact. It's all the more reason to try a cut of your favorite meat during your stay to taste the difference. Both the resort and West Palm have an overachieving craft beer scene, too. PGA National's menu features a variety of craft and local beers to sample, but the undisputed spot in these parts for beer lovers is World of Beers, home to a rotating menu of hundreds of worldly beers both draft and in bottles. At one point during our round on the back nine at PGA National's Champion Course, a flock of large, feathered creatures (my rudimentary bird-watching skills identified them as Sandhill cranes) gathered in the fairway and simultaneously let out a loud bellow that echoed all the way down the fairway. For resort guests, Denzer and his Leadbetter teaching staff tend to start with the basics: grip and posture, expecting these fundamentals to naturally help with plane and other key areas. These lessons also include the option for a video lesson that is e-mailed to you and can be viewed on your home computer or smart phone. In addition to the Leadbetter Academy, the David Pelz Scoring School is another on-site alternative for instruction at PGA National. Chances are, a visit to PGA National will have you hitting balls -- whether on the courses or the driving range -- until your whole body aches. For that, the Spa at PGA National has 56 treatment areas, ranging from massage to an extensive salon. The spa's most unique amenity is its "Waters of the World." The outdoor mineral pools simulate such salty, healing pools as the Dead Sea and the chilly, salty Pyrenees mountain waters of Sallies de Bearn. Spa locker rooms also have a sauna, steam room and hot tub to rejuvenate the body for another full day of swings.